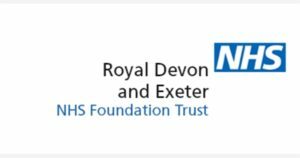 Lara Drake is a twenty year old who started as an Apprentice Administrator with the Royal Devon and Exeter Hospital (RD&E) in June 2015 in the Emergency Department. At the beginning of her apprenticeship she worked in different job roles such as Receptionist and Ward Clerk. Lara also shadowed the medical secretaries and was trained to carry out a range of tasks associated with this job role. It was clear from the start that Lara was going to be an asset to the RD&E as she made a concerted effort without being prompted by her line managers to complete all the necessary e-learning available to her. Both of Lara’s line managers described her as being very switched on and keen to learn. As Lara was so good at learning and completing her work tasks she and the rest of the team forgot she that she was new to the department. She quickly became a keen and valued member of their Administration team by dealing efficiently and sympathetically with patients in person and on the telephone and using her initiative. For example she asked her line managers if she could revise some of the working documents as she felt they could be made more user friendly. Once she did this her colleagues benefited from the documents being it easier to use. Lara started her Business Administration Level 2 qualifications with the same enthusiasm and work ethic that she applied to her job role. Right from the start Lara’s work for her qualifications was exceptional and of a very high standard. In particular, Lara’s Employer Rights and Responsibilities workbook received high praise from the Internal Quality Assurer for the qualification who said that she had not seen a workbook completed to such a high standard and level of detail before. When informed Lara said that she was extremely pleased that her efforts had been recognised. As Lara was so keen and enthusiastic her Assessor constantly gave Lara challenges to expand her knowledge and understanding. Lara passed her Functional Skill ICT Level 2 first time. Lara proved herself to be an asset to the Emergency Department during January and February 2016. As a result of staff sickness Lara found herself working in a different job role on a daily basis. However, as Lara thrived on hard work and adapted to different situations she was able to make a difference to the patients and the rest of her team. She commented that even though it was manic and she was tired she really enjoyed this time and she really felt she became a valued member of the team. Karen Hayman, Head of Administration for the Emergency Department, had picked Lara out as a possible Medical Secretary due to her emerging skills and enthusiasm. Karen actively encouraged Lara to apply for a permanent position that was soon to be advertised. In March 2016 Kate, Lara’s Team Leader, stated that Lara had performed exceptionally well during the previous six months. She had completed all of her internal training to a very competent level and Kate was confident she could put Lara in any administration role within the department and she would complete any task allocated to her. Lara’s new job role as a Support Medical Secretary within the Emergency Department become permanent from the beginning of April 2016. You may think that Lara is not a particularly exceptional apprentice but while I, Tanya Hart, was Lara’s Training Facilitator during the time she completed her qualification she also had to manage her health. She has suffered with Crohns Disease since childhood but Lara has learnt to manage her condition by managing her stress levels and during her apprenticeship Lara had several medical procedures associated with her condition but still managed to become a valued member of staff. In this time she has grown in to a very strong and capable young woman who has excelled in a hospital environment and is not afraid to take on new and difficult tasks. I admire her caring, professionalism and strength of character that she has demonstrated.